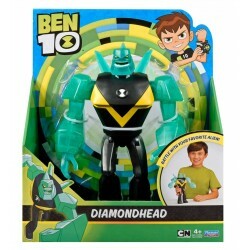 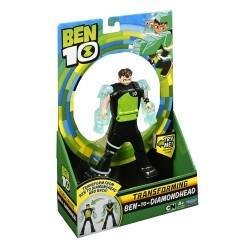 Ben 10 There are 22 products. 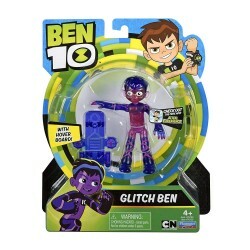 Item: 76603 Ages: 4+YearsHe creates shockwaves by clapping all four hands together and uses his Brute strength to solve any problems! 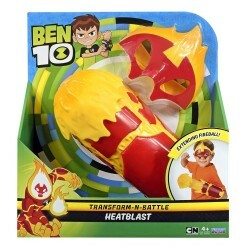 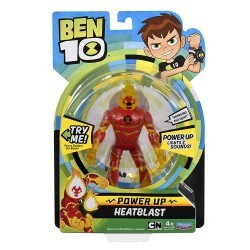 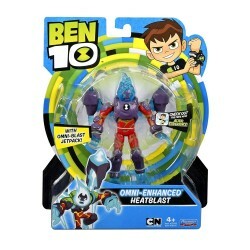 Item: 76601 Ages: 4+YearsBen 10 Power Up Heatblast Deluxe Figure "Power Up" Figures are interactive figures that allow you to give your alien a surging burst of energy! 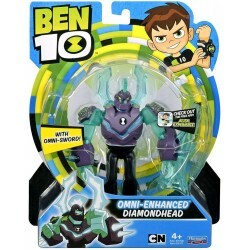 Item: 76117 Ages: 4+YearsHighly detailed, uniquely sculpted and fully articulated action figure with 7 points of articulation! 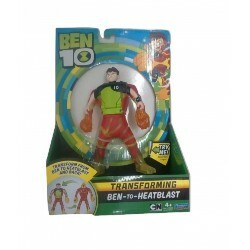 Item: 76116 Ages: 4+YearsRanging in height from 4" to 5" tall, each figure in the assortment is highly detailed and articulated. 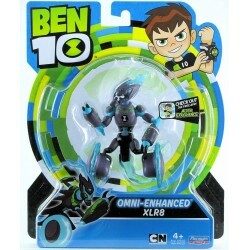 Item: 76118 Ages: 4+YearsHighly detailed, uniquely sculpted and fully articulated action figure with 7 points of articulation! 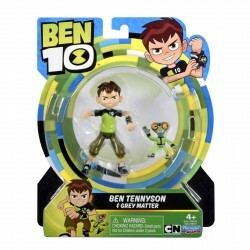 Item: 76122 Ages: 4+YearsThe mysterious sparks of energy erupting from Ben's trusty watch take his alien transformations to the next level! 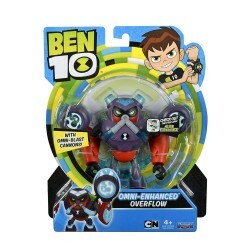 Item: 76119 Ages: 4+YearsWater and electricity don't usually mix, but Omni-Enhanced Overflow is the exception to the rule! 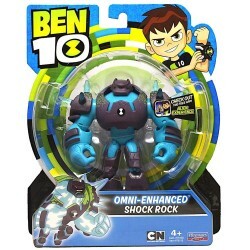 Item: 76121 Ages: 4+YearsHighly detailed, uniquely sculpted and fully articulated action figure with 6 points of articulation! 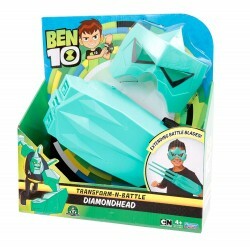 Item: 76652 Ages: 4+YearsBattle with your favorite alien in a GIANT scale. 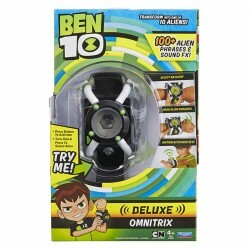 Item: 76121 Ages: 4+YearsThe Deluxe Omnitrix has 100 plus Alien Phrases & Motion Activated SFX! 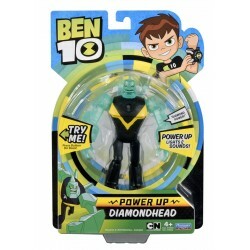 Item: 76692 Ages: 4+YearsSqueeze the figure’s legs and watch them transform! 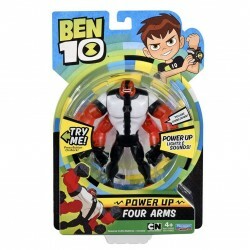 Item: 76691 Ages: 4+YearsSqueeze the figure’s legs and watch them transform! 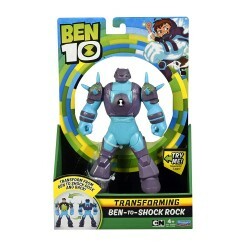 Item: 76693 Ages: 4+YearsSqueeze the figure’s legs and watch them transform! 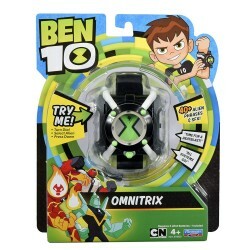 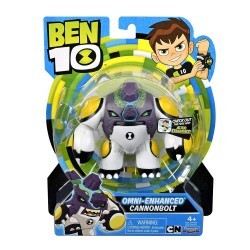 Item: 76900 Ages: 4+YearsUse the power of the Omnitrix to transform into 1 of 10 aliens! 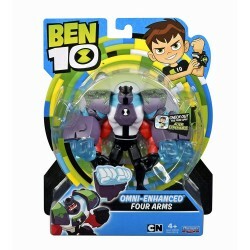 Item: 76129 Ages: 4+YearsHighly detailed, uniquely sculpted and fully articulated action figure with 7 points of articulation! 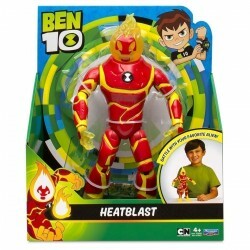 Item: 76651 Ages: 4+YearsThis 25cm Heatblast alien action figure is ready for action! 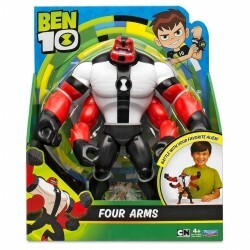 Item: 76653 Ages: 4+YearsThis 25cm Four Arms alien action figure is ready for action!